As stated in 4.3, in order to verify the ultimate and serviceability limit states, each design effect has to be checked and for each effect the largest value caused by the relevant combination of actions must be used. However, to ensure attention is primarily focussed on the EC5 design rules for the timber or wood product being used, only the design load case producing the largest design effect has generally been given or evaluated in the following examples. Example 10.13.1 A timber-to-timber tension splice connection functioning in service class 2 conditions is required to connect two 50 mm by 150 mm timber members as shown in Figure E10.13.1(a). Two 36 mm by 150mm timber side members will be used, connected by 3.35 mm diameter smooth round nails 65 mm long without pre-drilling and driven from both sides to overlap in the central member. The nails have a tensile strength of 600 N/mm2. 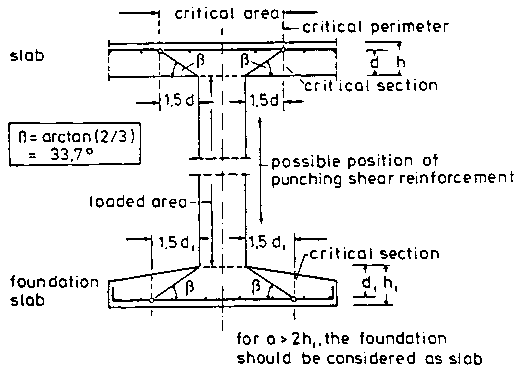 The joint is subjected to a characteristic permanent action of 2.5 kN and a characteristic medium-term variable action of 3.5 kN and all timber is strength class C22 to BS EN 338:2003. Determine the number of nails and the nailing pattern required to comply with the rules in EC5. Nails are driven without pre-drilling and are less than 6 mm in diameter. In accordance with 5.3.3 (EC5, 5.2(3)), the loss of area effect can be ignored. Characteristic yield moment of a nail, My.Rk (Table 10.5 (EC5, equation (8.14)).